Farewell Super Bowl, hello Kylie Jenner. The little Kardashian girl is back and has a daughter to show the world. Hours before one of the greatest events in American sports, Jenner made a public announcement revealing not only that she was pregnant by her boyfriend Travis Scott, but that she’d already given birth three days earlier to a daughter named Stormi. After months of whispered speculation, the reality television star finally publicized the news in a Twitter post in which she explained her choice to keep her pregnancy private. She also posted a YouTube video that will become part of this decade’s pop culture history. Jenner’s 11-minute “To Our Daughter” video has racked up more than 24 million views in less than 24 hours. The “millennial” method of digital video that Jenner used visualized her childbirth preparation classes, her relationship with Scott and some of the most personal and private moments of her family in the past months. The intimate video (along with the background piano music) is one of the most followed stories of recent memory on social media. According to data from The Blast via Google Trends, Jenner, Scott and Kim Kardashian were the most searched terms in the entire world just hours before Super Bowl kickoff. During this time, the “KarJenners” were not only more popular than Tom Brady, who is the quarterback for the New England Patriots, but they also eclipsed the Puppy Bowl and the special Super Bowl episode of the NBC’s hit series This is Us. The most impressive part of the announcement was the timing. Why not make the announcement the day the child was born? It was all a marketing and publicity strategy for herself. She knew that that day was important, she knew that every American was going to be active on social media. Remember, we are talking about a celebrity with more than 100 million followers on Instagram. By uploading the video shortly before the Super Bowl, Jenner multiplied her audience to the maximum thanks to those viewers who would never have seen anything of hers and are now bombarded with her news by pure obligation. Some may complain that Jenner is using her newborn daughter as a publicity stunt or a marketing move, but in my opinion, she did not do anything wrong. Even if she did purposefully design the announcement to harvest more fame, why must people criticize the move as unethical? Jenner said in her post that the only thing she wanted was privacy during her motherhood–now she will certainly become the most followed momma. She just threw a bomb to the media, and now all her of her social media has kept on growing. Jenner’s Instagram follower count has grown to 103 million, meaning she has picked up at least 2 million in the last 10 days. The Instagram post publicizing Stormi’s birth has around 10 million likes, and is now the sixth-most-liked Instagram post. Moreover, the “To Our Daughter” video accumulated more than 60 million views on Instagram and 41 million on YouTube, making it number seven in the list of videos with the most views in 24 hours on YouTube. That growth is too significant to be random–Jenner knew what she was doing by waiting to reveal Stormi’s birth. She claimed she acted for privacy, but now even people that didn’t follow her before want to know what she and her baby will do next. Ultimately, Super Bowl LII will not go down in history as the Eagles’ drought-ender or Justin Timberlake’s Super Bowl saving grace–Super Bowl LII will go down in history as the Super Bowl in which Kylie Jenner became a mother in the public eye. 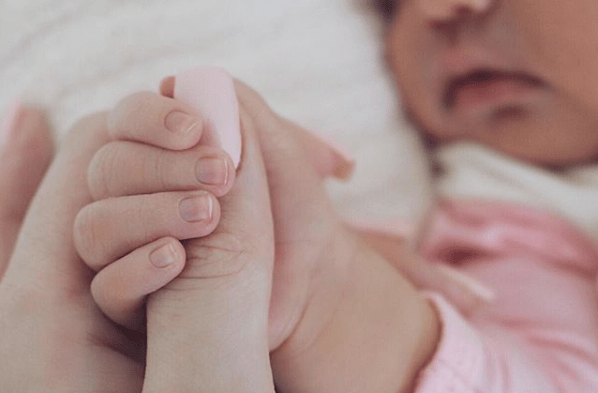 Two days after the announcement, she posted her first Instagram picture of Stormi. The photo is already the most liked image ever on the picture-sharing app, just 19 hours after it was shared.